Stretching the One Income Dollar: Book Review:The Frugal Senior: Hundreds of Creative Ways to Stretch a Dollar! 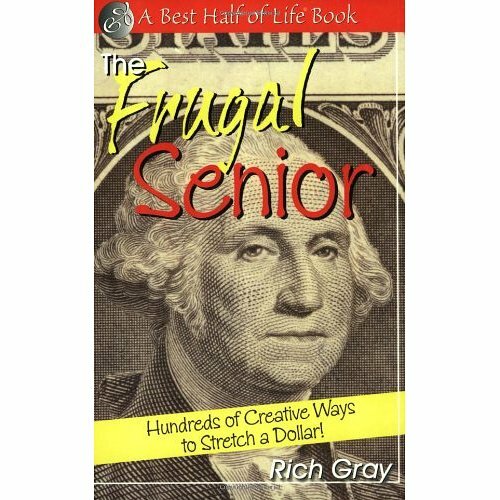 Book Review:The Frugal Senior: Hundreds of Creative Ways to Stretch a Dollar! Saving money for your senior years is not a new concept. However, with the global recession many of us are finding it tougher and tougher to put away a few dollars. The book The Frugal Senior: Hundreds of Creative Ways to Stretch a Dollar! (The Best Half of Life)by Rich Gray, teaches you, new and creative, as well as old and tired, ways to make your dollar last in the golden years of life. Frugal senior living is not about ramen noodles and coupon clipping it about saving money on some things to be able to spend it on things that really matter. I reviewed this book and found alot of tips that I already knew about, but then again I have read tons of frugal books in my time.It's a greater starter book for those that are just getting into saving money and in an easy reading format. It's also a great book for anyone that really has to buckle down & save and looking for any and all tips to do it.